With this final volume of his superb biography, Rampersad comes to the racist exclusion and crippling attacks from the right that forced Hughes to scramble for a meager living. Rampersad effectively conveys not only the complex, frustrating difficulties of Hughes’s work in poetry, opera, musical theater, children’s books, and popular history but the rigors and humiliation of his speaking tours and tormenting trial before the McCarthy committee. Even when he was doing hackwork, the true artist in Hughes created in his Simple stories a beloved character kept brilliantly alive. This balanced, honest biography offers deep insights into a major artist’s personality and work as well as a sweeping view of American culture in his lifetime. Arnold Rampersad is Sara Hart Kimball Professor in the Humanities at Stanford University. 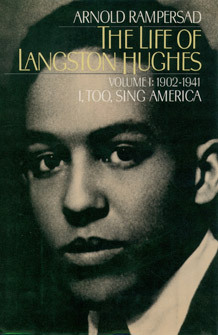 He is the author of Days of Grace: A Memoir with Arthur Ashe, Jackie Robinson: A Biography, and he edited Collected Poems of Langston Hughes.